Welcome to BuySilverBullion.com. Our website aims to be a complete guide to silver buying, encompassing both physical and “paper” investments, as well as explaining online and local silver purchases. Our homepage will summarize and link to the main sections of our website. While most of the public thinks of silver investments as hoards of huge silver bars, there are actually quite a few other ways to own or be exposed to silver as an investment. Physical silver is certainly a common method, and is the one we recommend most, but you can also gain exposure through other “paper”, or non-physical, investments. Even if you are buying physical, there are hundreds if not thousands of different types of physical silver, all with various purities, shapes, weights, and producers. This section of our guide goes over the various methods for gaining silver exposure, and also classifies each type of physical silver bullion. If you choose to go with physical bullion, your purchase options will vary from online retailers to local coin shops or coin shows. 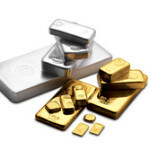 If you plan on buying online, check out JMBullion.com who is one of the largest online dealers of precious metals. Alternatively, if you are looking for live silver prices, you can visit silverprice.org, the number one site for silver price charts in every national currency in the world. American Silver Eagles are the most popular silver bullion coin in North America, and carry a face value of $1 USD. Austrian Silver Philharmonics are the most recognized coin out of the Eurozone, and carry a face value of 1.5 Euros. Silver Maple Leafs are produced by the Royal Canadian Mint, and carry a face value in Canada of $1 CAD. This coin is .9999 pure. Junk silver refers to USA currency coins that contain either 35%, 40%, or 90% silver content. These are sold in face value lots. When purchasing silver bullion, you have two primary markets for physical products: local shops and online retailers. We typically advocate purchasing online, as it will save you money and provides more convenience. Our website was built in 2013 to serve as an educational resource to retail silver investors. As precious metals gain more and more popularity in the mainstream media, traditional retail investors look to diversify their portfolio into both gold and silver. 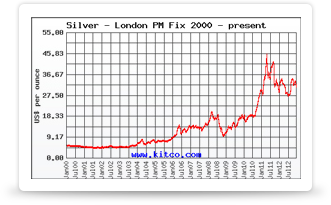 We like silver, as it is more accessible to all investors, while still being extremely liquid and prevalent. Our website contains a wealth of information about silver investing, including types of bullion, where to buy it, how to store and protect it, and more. Please browse around to learn more.